Through our business and research, we have come across a number of high-level facts and statistics about the convenience (c-store) industry, its direction and emerging trends. We thought they would be of interest to our customers and readers. There are lots of convenience stores! Convenience stores continue to have steady growth as an industry, doubling in number over the last 30 years! According to NCAS, there are 154,535 c-stores in the United States alone, and they serve almost 160 million customers per day. Convenience stores lead in retail outlets and summer sales. Convenience stores make up 34.1% of all retail outlets in the U.S. (“Convenience Stores Offer,” 2017). Convenience store sales in the USA increased by 4.4% in 2014 to $214.9 billion (“2014 was Historic,” 2015). Unlike other retail categories, as consumers hit the road for their summer holidays, c-stores will see as much as a 17% increase in sales (“Summer Snacking,” General Mills). Store execution tip: Capitalizing on the increase in foot traffic in the summer months requires planning ahead and executing thoroughly. In the summer, consumers gravitate toward salty snacks and nutritional bars. Re-prioritize shelf space for popular categories (seeds, trail mix, yogurt) and scale back categories which tend to decline over the summer (soup, baking products) (“Summer Snacking,” General Mills). Convenience stores are a growing destination for prepared food. Foodservice sales are growing to become the c-store industry’s most profitable category, contributing 21.4% of in-store sales in 2016 (up from 19.4% in 2014) (“Convenience Stores Offer,” 2017). Convenience stores accounted for more than 11% of millennials’ food and beverage stops in 2014 (“Three Ways to Win,” 2015). Both millennials and post-millennials (Gen Z) are influenced by food trends including local, non-processed ingredients. 76% of 18-34 year-olds would purchase more prepared foods from c-stores if the foods are designated as local, natural, and in environmentally friendly packaging (“Five Ways to Build a Better Food Service Program,” 2017). Customers are choosing fresh and healthy options. Sales of fresh fruits and vegetables (including prepared salads and packaged produce) increased 10.3% to $362 million in 2014 (“Consumers,” 2015). In 2016, 63% of retailers reported continued sales growth for fruits, vegetables, yogurt, and nuts (“Convenience Store Sales,” 2017). Consumers increasingly say that the quality of in-store food items dictates where they buy fuel (“Food Quality,” 2017). Wine and spirits sales are rising. Table wine sales rose 7.1% (case sales growth), sparkling wine rose 13.4%, and spirits realized 15.9% growth in 2014 for c-stores (IRI). 2016 saw c-store beer sales rise to $18.6+ billion (“Boosting,” 2016). Wine, a profitable alternative to car washes? A convenience store in El Carajo (Miami, FL) replaced its car wash with a wine store. Wine sales now account for 28% of their 11 Million dollar sales (“Ideas 2 Go,” 2014). Fuel and lottery generate in-store traffic. When fuel sales increased by 68% in 2016, foodservice sales saw nearly the same increase (63%) (“Convenience Store Sales,” 2017). However, cleanliness is the key for converting fuel customers to in-store customers. 84% of customers who stop for a fill-up say store cleanliness is a factor for considering going inside for an additional purchase (“Refresh, Refuel,” 2017). 45% of fuel customers go in-store to purchase a beverage; 36% to buy a snack. 13% of consumers age 18 to 34 purchase ready-made food once in-store (“Food Quality,” 2017). Convenience stores sell almost 50% of all lottery tickets sold in the U.S. Lottery also drives traffic, and 95% of lottery customers buy at least one other item while in-store (“Lottery Sales,” 2017). Convenience stores are a worldwide phenomenon. Taiwan has the highest concentration of convenience stores of any country. There are more than 9,800 stores over 36,000 square kilometers. A study from 2014 found that there were 2.878 billion visits to convenience stores in Taiwan in 2013, or an average of 122.73 trips for every person (men, women, and children) in the country (“Taiwanese Convenience,” 2015). Promotional compliance is staggeringly low! According to a 2016 survey, merchandising executives believe that merchandising compliance is around 78% for temporary displays and 80% for permanent displays. Actual compliance rates are much lower. At the c-store level, promotional compliance can be as low 50% (“Key Challenges,” 2016; eXPD8). This can be dramatically improved by implementing a store visit program. 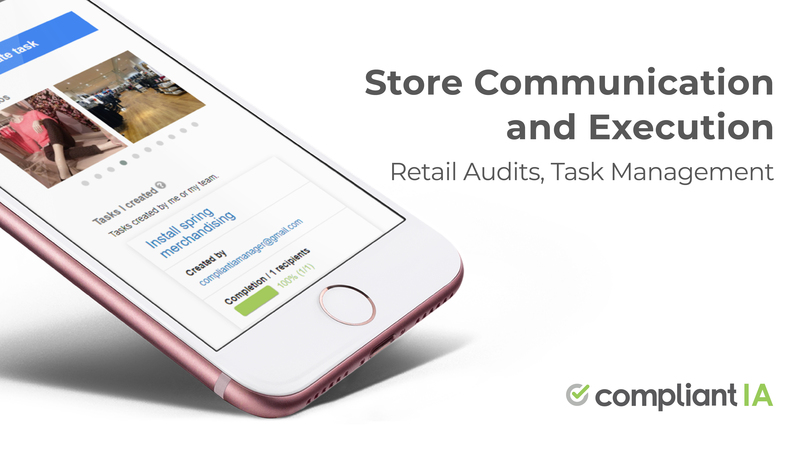 Even better, automate the store visit process with efficient, mobile-friendly retail audit software to promote compliance while cutting administrative costs. 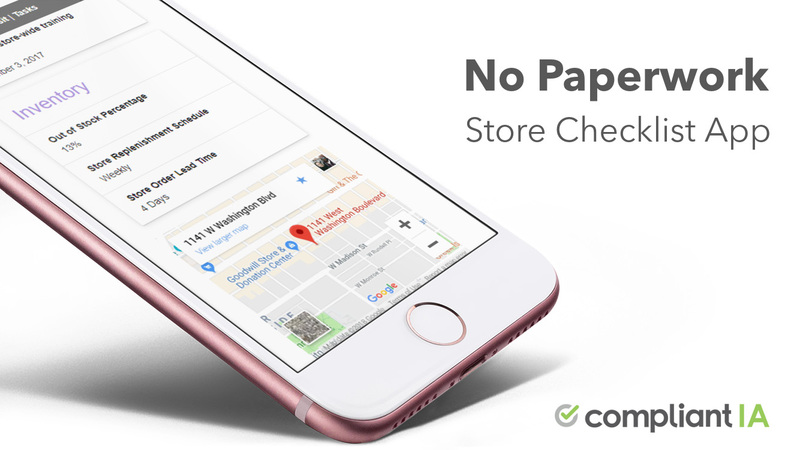 This blog updates information from an earlier post on c-store industry trends.